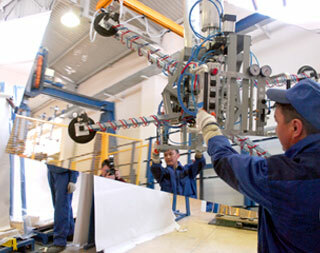 Interglass-Stroy – glass deep processing enterprise established on basis of glass plant “Interglass”. 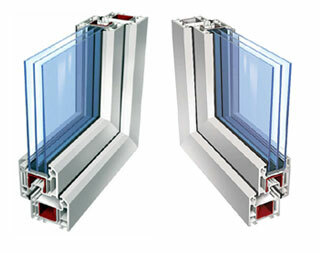 All the production is manufactured from high-quality glass, produced by “Interglass” plant on German equipment. Deep processing of the glass is performed on the equipment by world leading producers from Switzerland, Germany and Italy. Materials used in processing pass thorough quality selection. 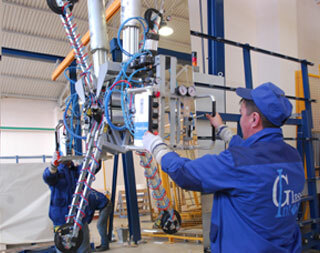 “Interglass-Stroy” offers a wide assortment of glass production. Multiple glass panes are essential parts of any PVC and aluminum window. Its purpose is not only the decoration, but also protection of the construction structures from noise, bad weather, cold and rain. 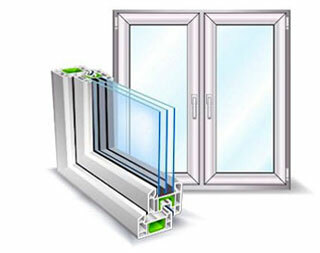 Multiple glass panes – is a construction unit consisting of two and more glass sheets, connected along the perimeter by a metal frame. Closed cavities between the glasses are filled with dried air, producing a hermetic air chamber between the glasses. This is what a one-chamber glass is. Adding one more aluminum frame and glass, we get one more chamber and, as a result, a triple glass pane. All multiple glass panes look the same. They are hermetic units made from two glasses connected by an aluminum frame. The most popular and suitable for our weather conditions are triple glass panes. 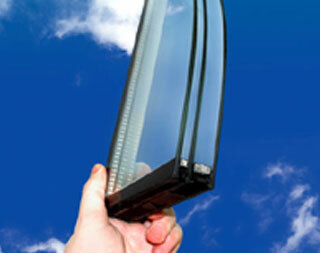 Ready made “Interglass-Stroy” multiple glass panes – is economy of your time and absence of glass wastes! Our specialists will create comfort in any construction structure; help to protect it from noise, dust and reduce your heating expenses. 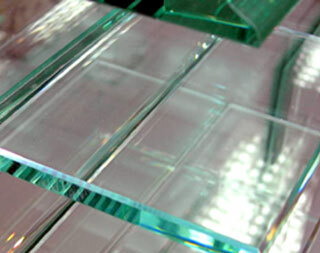 Tempered glass – is float glass (М1 and М0 grade), especially thermally treated (tempered) in order to increase its mechanical strength and provide safety protection when broken. 10 times tougher than ordinary glass! When broken glass fragments do not have sharp edges! Temperature drop – 150 degrees centigrade, and for ordinary glass the temperature drop is only 40 degrees centigrade. 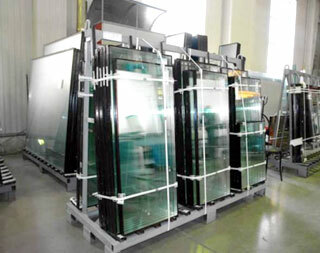 This type of glass is used for glazing of facades, interiors, incoming groups, anti-vandal glazing, staircase railings, glass roofs, balconies, shower cubicles, shop windows, furniture production. 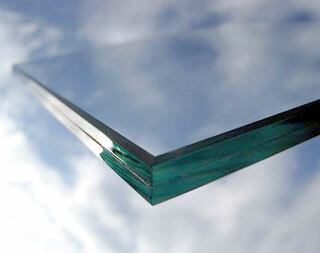 Protective laminated glass (triplex) is a toughed safety glass. Triplex consists of minimum two glasses firmly glued together with a special polymer film. 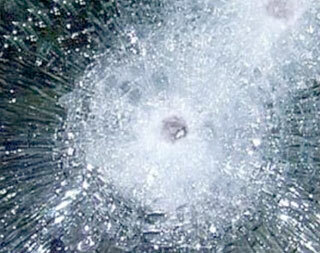 Impacted triplex articles are not damaged, because the film between layers holds the glass fragments. Impact resistance – 80% more resistant than ordinary glass!!! Bullet resistance – exception of bullet perforation! Application areas: anti-vandal glazing of facades, glazing of banks, glazing of special objects, interior glazing, glazing of shops, transparent and color (art) glazing. Interglass-Mirrors are produced on the basis of high quality clear float-glass which successfully passed the optical quality control, with light reflection coefficient more than 92%! Production of Interglass-Mirrors does not involve lead that makes their production and application environmentally friendly. A new technology applied allowed to improve wear-resistance and reflection power of the mirrors. 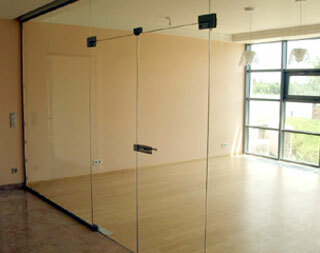 Interglass-Mirrors are extremely resistant to humidity and hostile environment (moisture, thermal gradient, oxidation). 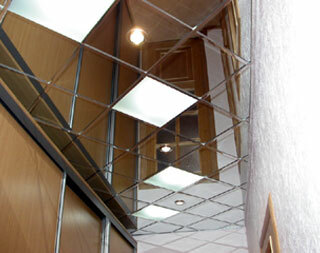 According to the results of ISO standard testing they are 3 times more durable than ordinary mirrors! Interglass-Mirrors are almost 7 times more resistant to exposure of such aggressive agents as ammonia derivatives and aerosol constituents!